How many people know Tumblr is owned by Yahoo ? Maybe we were too ignorant to know Yahoo acquired Tumblr in 2013. But we really knew Tumblr more earlier, we did not use it just because we did not know how great about Tumblr ran a long-macro-blog compared with people’s personal blogs. until we knew Tumblr created more society feature. So due to Wikipedia, Tumblr is a “ micro blogging platform and social networking website”, for our view, Tumblr’s social network feature is similar with Twitter, but the big different is Tumblr allow users post longer content than Twitter. If you are a IT guy, you should not only use Facebook, Twitter, you might also use very often the Linkedin, at least you know there are lots of recruiters on LinkedIn who always send message to try to contact you. So LinkedIn seems be one service which provides social network feature, but also looks like it is a job service provideer, but the job feature is different with other common job finding websites. LinkedIn is a business-oriented social networking service. it is mainly used for professional networking (from Wikipedia). Responsive Ad Unit is a new type of Google AdSense ad unit. It is still on preview status. But we can use it in our web pages. The most requested question should be how to control its size even it can be change size automatically due to the space size which you give it. However, sometimes we still need to limited its size. Especially since it is still a preview version, it casually show a over-sized Ad unit on our web page. I often select an existing WoredPress theme for my blog website, but normally I will NOT use the theme completely, I will change something in the theme due to my own requirement and my own style. How I changed theme is using WordPress child theme mechanism: it is easy to understand, a child theme, it is a theme which can cover the original theme, but you do not need to write entire theme. The advantage is I also do not affect original theme, I do not need to change original theme directly. If you have YouTube account and submitted some videos, you should know or you will get a notify or you set by yourself, to enable a feature to make money through your videos, with Google AdSense. For our case, we did not set any AdSense information until we received a message when we submitted our videos. it was about “Monetisation” message. Twenty Eleven WordPress theme is another popular free theme which was released by WordPress team. We can adjust the screen by change css file. Here is a requirement about adjust width, for example, we need to increase the width of right sidebar (include Widget width), and decrease the distance between content and right side widget, also, decrease the left margin of content, and right margin of widgets. also, if we will, we can increase the width of content. WordPress Top Menu Not Work In Child Theme ? 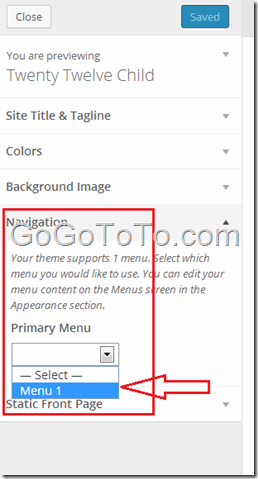 In newer versions of WordPress themes, there is a navigation item called menu. 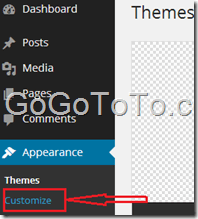 User can assign pages or categories to menus. Also, in newer WordPress version, the menu provide dropdown style and mouse hover with show / hide features. Actually the menu belongs to theme. so we know if we got any issue on menu, we normallby check go to check the theme model. We met a problem when we tried a child theme based on the Twenty Twelve theme. By now the most popular free WordPress theme is still their official Twenty Twelve theme. ( http://wordpress.org/themes/ ) since its great features. However, when we added a child theme of Twenty Twelve, we found the menus disappear but just default menu with Home and About there. We firstly go to check any theme, we spent over 1 hour but got nothing. we must change the settings again ! Save the settings, that’s it ! Umbraco MVC Version Cancelled ? From Microsoft ASP.NET website, we knew there were two great and popular CMS and Blog open source project: Umbraco and Orchard. We did not get some messages in some period, today we just recognized the MVC version of Umbraco has been cancelled by the official development team. People can not download the Umbraco MVC version from their official site now. In the end, the only responsible decision, the only decision that respects the community and the core values of the project was to retire v5. Firstly, our apologies for not being better prepared with a public announcement for those of you not at Codegarden regarding v5. It is not a decision that has been brewing for months, but a discussion that was started and researched a few weeks back, culminating in an honest and open conclusion made by the community group who attended the weekend’s pre-codegarden retreat. These were not all HQ and core members but an impartial and honest group of both core and community members, new and old. That being said it is a decision that has not been made lightly and on the spur of the moment however happened quickly as it was in the end the most obvious and logical decision to make. v5 has become an overly complex system that has turned into the very monster Umbraco was originally created as a reaction against. The community was not involved in its development, with one of the results being a highly complex set of code which also means the community will never HAVE the option of being involved with its development. This goes against everything Umbraco stands for. Within the community there was a great deal of frustration with v5. It was difficult to use, had performance issues, and was generally not an improvement over v4. The vast majority of Umbraco community members were continuing to develop and release using v4. A simple look at the solution is to take all that is awesome about v5 and add it into v4. We will still support Umbraco 5.2 to solve the worst issues with those still running a v5 site, but at this point we cannot recommend beginning any new projects with v5. The focus needs to return to simplicity, community involvement and transparency, and more will be posted in the coming days/weeks with regards to these things. Now we only have a study MVC project: Orchard.